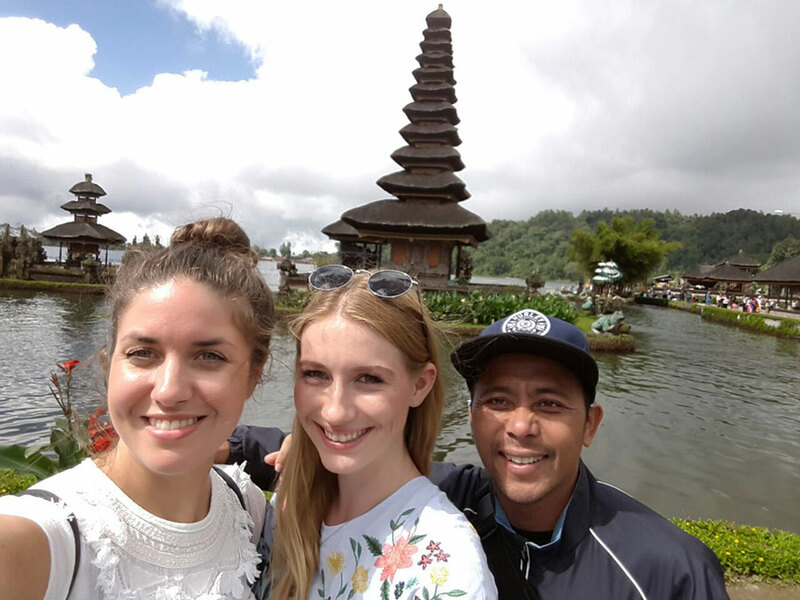 In this tour we not only visit at Lovina beach, but we also will visit othertourist attraction in Bali north side. First location is Lovina beach, the other destinations trekking at Aling-Aling Waterfall, Wanagiri Hill and Ulundanu Temple at Bratan Lake. 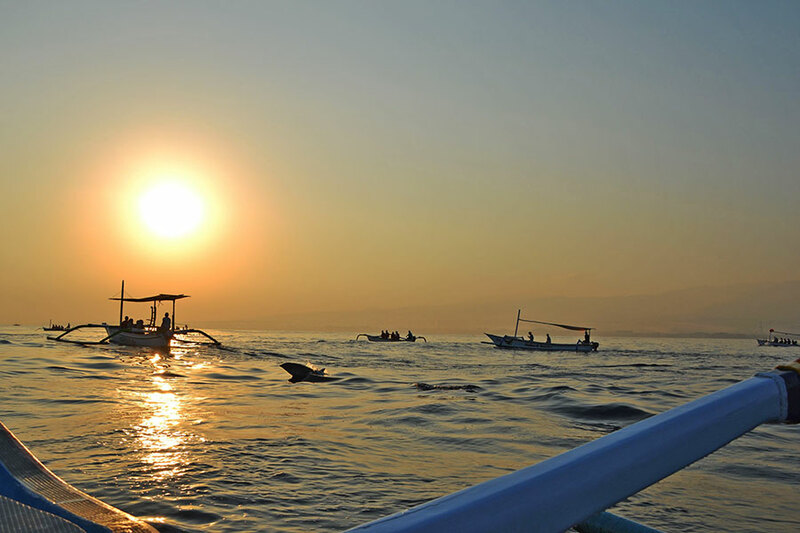 Travel to Lovina Beach, an exciting trip to the northern part of the Island to explore the north coast right at Lovina beach. Dolphin watching will be the main activities. The beach is safe for swimming as the water is relatively calm. Walking through the rice fields with the warm sunrise will become the beginning of the trekking in the nature. You will see the local people who work in their rice fields. It will become an interesting view because they still use traditional methods to work in their lands. By passing some stairways about 10 minutes, you will find Aling- Aling Waterfall with 32 meters of height. You can feel the sacral and silence as you enter the area of waterfall. However, you are not allowed to swim in the river because it has powerful streams. Besides, the local people also want to keep the sacral of the waterfall so that no one allowed to swim in this area. Click Here to know more about the Aling Aling Waterfall story. 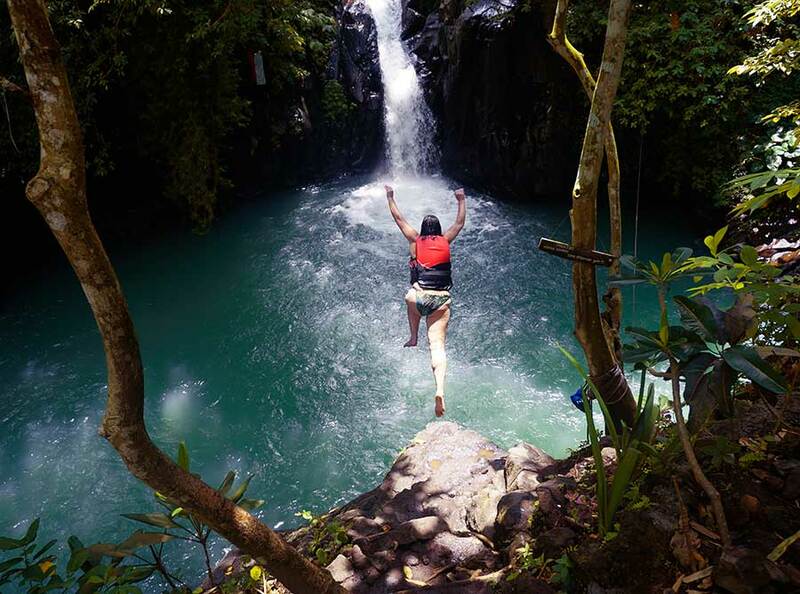 After enjoying the beauty of Aling Aling Waterfall, you will continue walking through the river in about 5 minutes so that you can find the place to get back the adventurous spirit in yourself. In this area, you will find three different waterfalls that become 1 area; they are the Kroya waterfall that is commonly used for waterfall water slide from 12 meters of height, the Kembar Waterfall where you can experience waterfall cliff jumping from 10 meters of height, and Pucuk Waterfall where you also can jump from the height of 16 meters. Our journey continues to Wanagiri Hiden Hill just 30 minutes from Gigit waterfall. Located in Munduk, an out-of-the-way village about two hours north of Ubud, Wanagiri Hidden Hill is punctuated by a series of whimsical vantage points over Lake Tambingan and Lake Buyan. There’s a human-sized bird’s nest, an Indonesian interpretation of the Eiffel Tower and a giant swing overlooking the water below. The Wanagiri Hidden Hills Bali swing is popping up on everyones Instagram feed and soon becoming one of the most photographed places in Bali! So whether you’re a photographer or just a social media fanatic. Serene Lake Beratan fills the ancient crater of Mount Batukaru. Here the local people honor the Goddess of the waters, Dewi Danu. The delightful small temple of Ulundanu Temple dedicated to this Goddess, is built on a small promontory on the lake. The price is inclusive of : private air conditioned vehicle, petrol, parking fee, entrance fee, insurance, dolphin watch fee, breakfast and buffet lunch, trekking at aling aling, entry fee for photo selfie at wanagiri, mineral water and english speaking driver. The price is excluding: any other expenses.